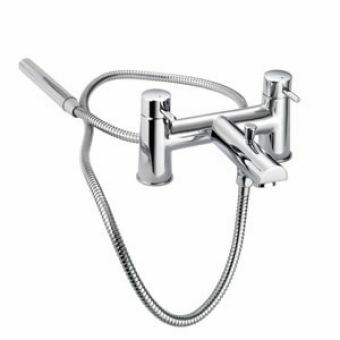 Hansgrohe Focus Bath Shower Mixer Tap£195.00 inc.VATRRP: £325.00 (Save 40%)Deck mounted shower mixer tap, including handset and hose with holder. 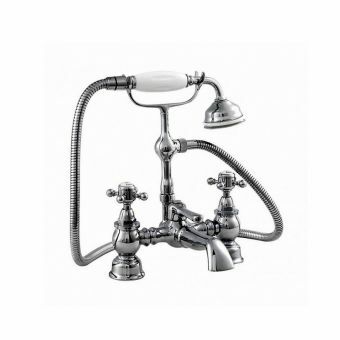 Blends hot and cold feeds. 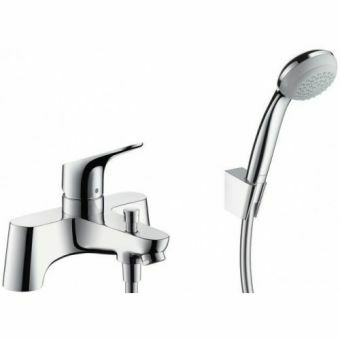 VitrA Memoria Exposed Bath Shower Mixer£720.00 inc.VATRRP: £900.00 (Save 20%)Exposed style bath shower mixer set, hand held shower baton handset with a diverter for the bath filler spout. 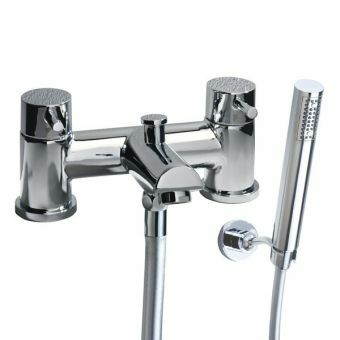 VitrA Memoria 5 Hole Bath Shower Mixer£671.20 inc.VATRRP: £839.00 (Save 20%)Deck mounted bath tap, with filler spout, baton shower handset and 3 control handles, dual outlet (bath & shower). 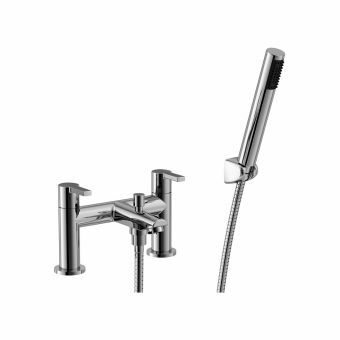 VitrA Memoria Concealed Bath Shower Mixer£829.60 inc.VATRRP: £1037.00 (Save 20%)Concealed shower valve fitting, spout bath-filler plus baton shower handset with diverter button. 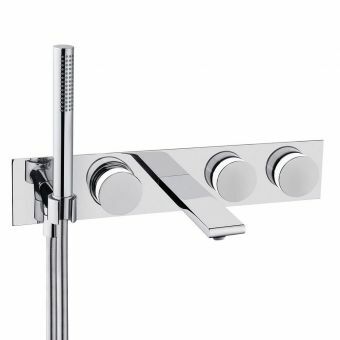 Approved RetailerCrosswater MPRO Chrome Bath Shower Mixer£342.30 inc.VATRRP: £489.00 (Save 30%)5 hole Deck mounted bath shower mixer tap, with a concealed hand shower, bath filler spout and 3 handles. 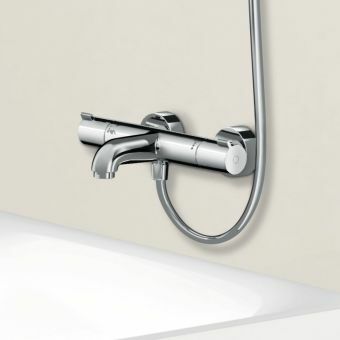 VitrA Memoria 3 Handle Bath Shower Mixer£604.00 inc.VATRRP: £755.00 (Save 20%)3 handles: 2 control hot and cold, the 3rd controls diverter and on/off function. 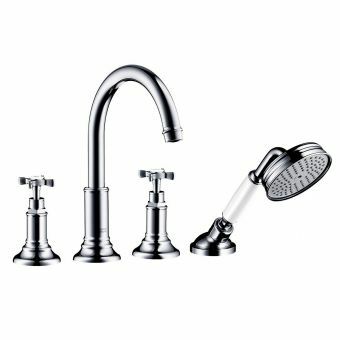 Shower head & hose included! 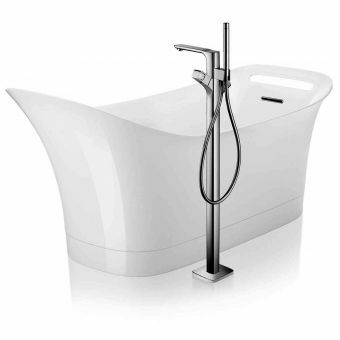 VitrA Z Line Bath Shower MixerFrom £160.55 inc.VATRRP: £247.00 (Save 35%)Bath and shower mixer valve, with a built-in bath spout & side lever control. 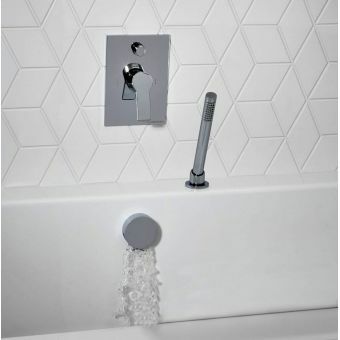 Shower baton style handset. 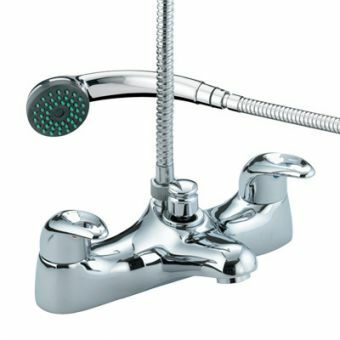 Hansgrohe Ecostat Comfort Exposed Bath Shower Mixer£189.00 inc.VATRRP: £315.00 (Save 40%)Dual function bath mixer with an outlet for a hose and hand shower. 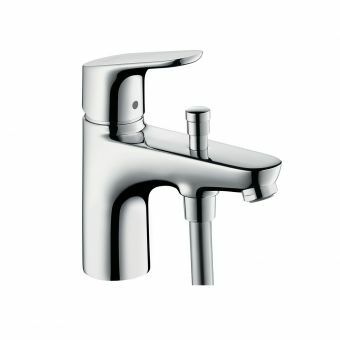 200mm bath filler spout, with diverter. 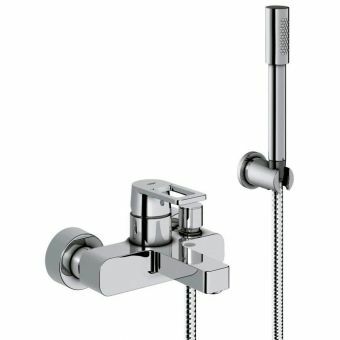 Hansgrohe Talis S2 Exposed Bath Shower Mixer£181.99 inc.VATRRP: £280.00 (Save 35%)Exposed bath shower valve, ideal for use with a shower rail kit hose and handset. 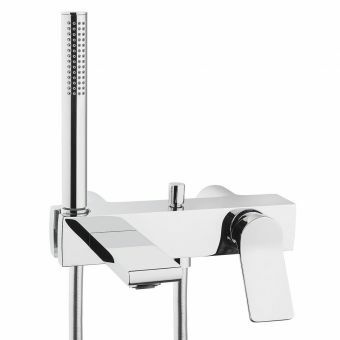 Manual mixer with lever handle. 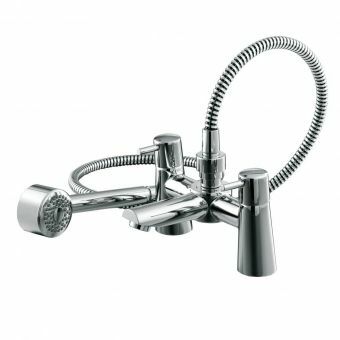 Free DeliveryGrohe Lineare Single Lever Bath Shower Mixer£244.76 inc.VATRRP: £376.56 (Save 35%)Complete kit including handset hose and holder, sparkling long lasting Grohe Starlight chrome finish. 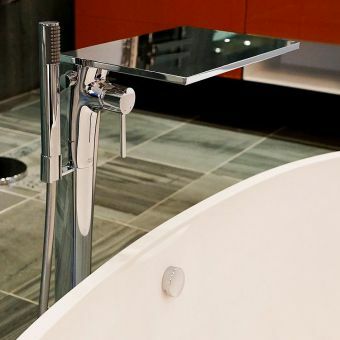 At UK Bathrooms, we sell an assortment of bathroom products and accessories to suit varying styles, budgets, and needs. 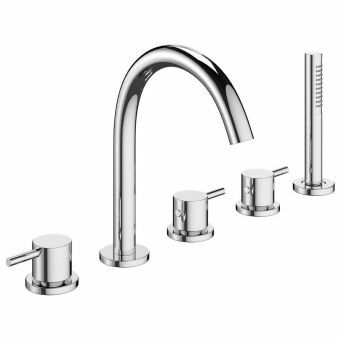 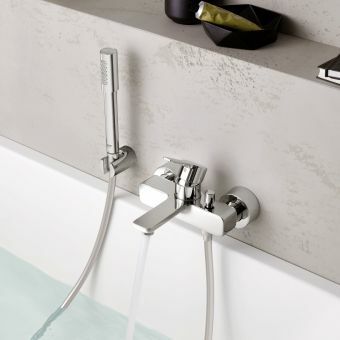 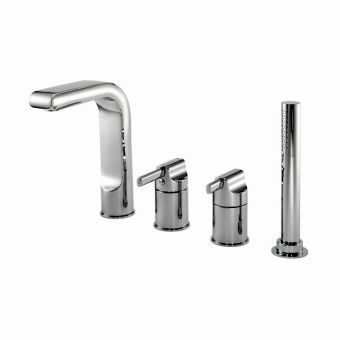 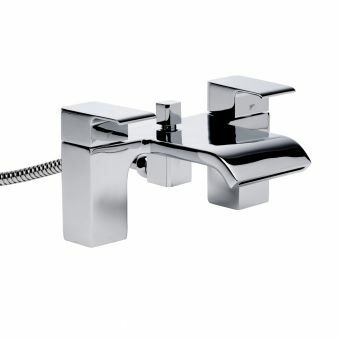 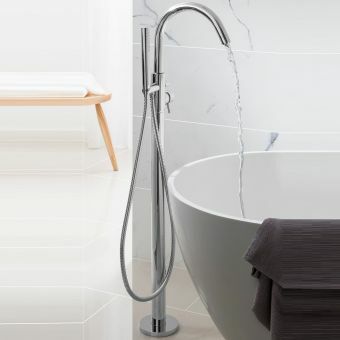 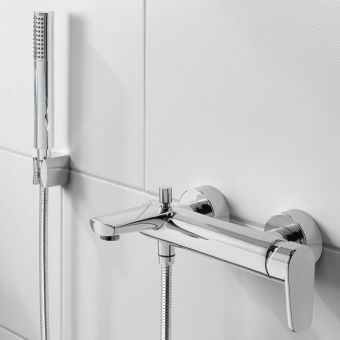 We stock bath and shower mixer taps in both modern and traditional designs, some of which come with free delivery to save you even more money. 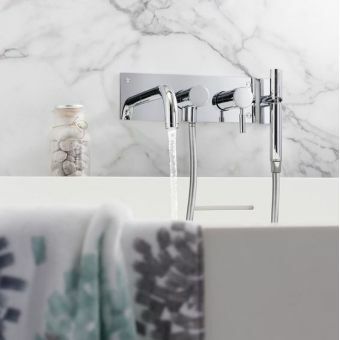 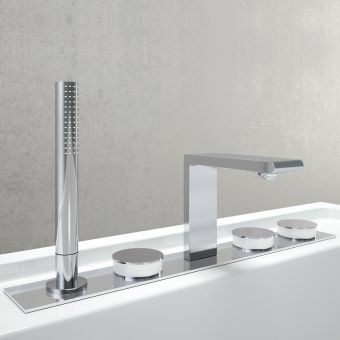 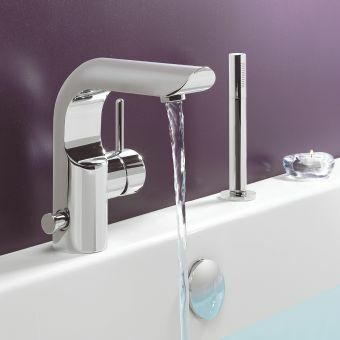 The Francis Pegler Pulsar Bath/Shower Mixer Tap is a fantastic product with a quality chrome finish which provides the perfect complement to any modern bathroom. 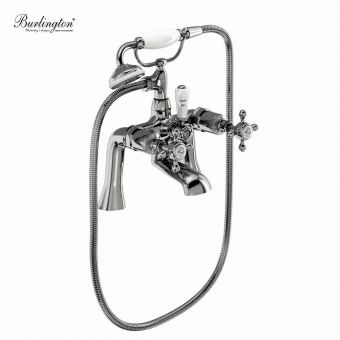 It has a minimum operating pressure of 0.3 bar and comes with a hose and handset. 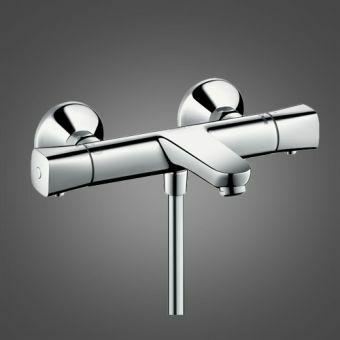 Other brands stocked include Dornbracht, Grohe Spa, Britton Bathrooms, Joyou, Keuco, and Matki Swadling, amongst others. 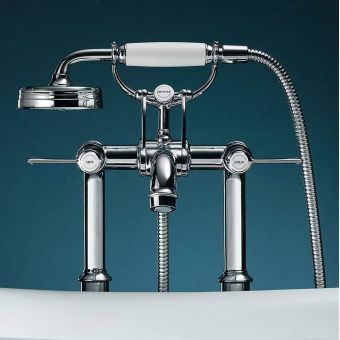 One of the pricier models within this range is the Imperial Vuelo Bath Shower Mixer Kit. 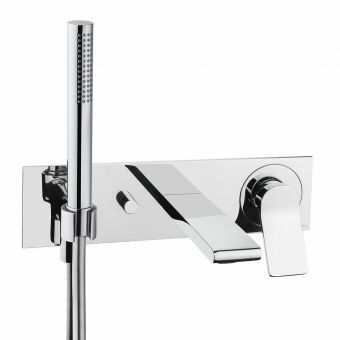 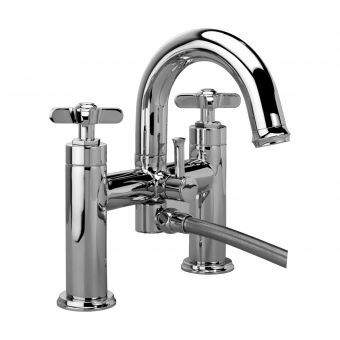 Finished in classy chrome, it goes well in many bathrooms and offers both style and function. 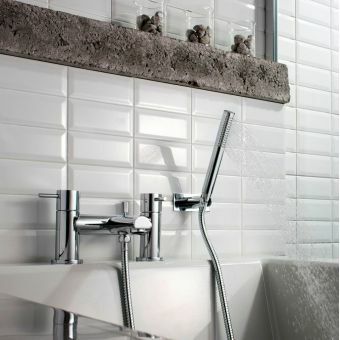 It is deck mounted, but has the option of a floor mounted stand-pipe alternative at an additional cost. 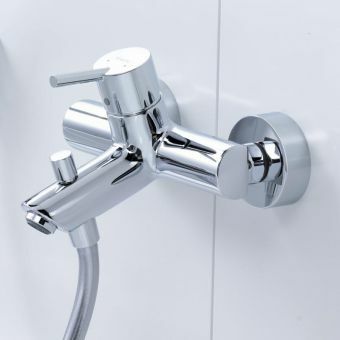 It is possible to control the temperature and flow via the use of the quarter turn ceramic disc feature, which eliminates drips. 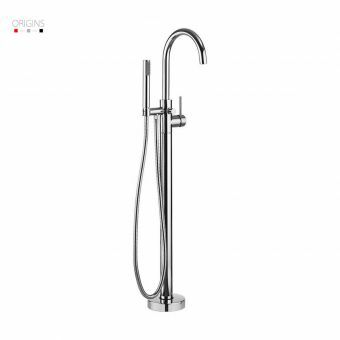 Suitable for high pressure and pumped systems, this stylish product will add class to any bathroom. 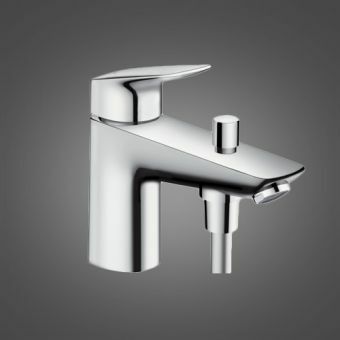 Zero per cent finance options are available on selected products in order to spread the cost over a longer period of time. 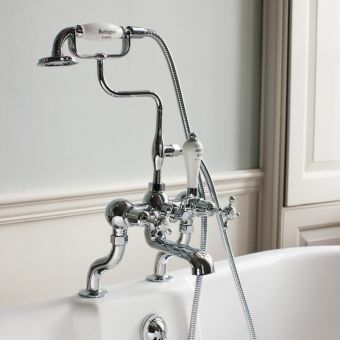 We aim to dispatch your order as soon as possible, using our reliable couriers to deliver them to your door in perfect condition. 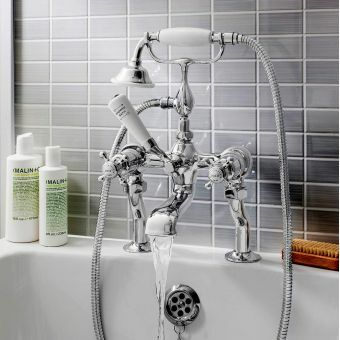 Our returns process is also very straightforward, making for a hassle free transaction every time.